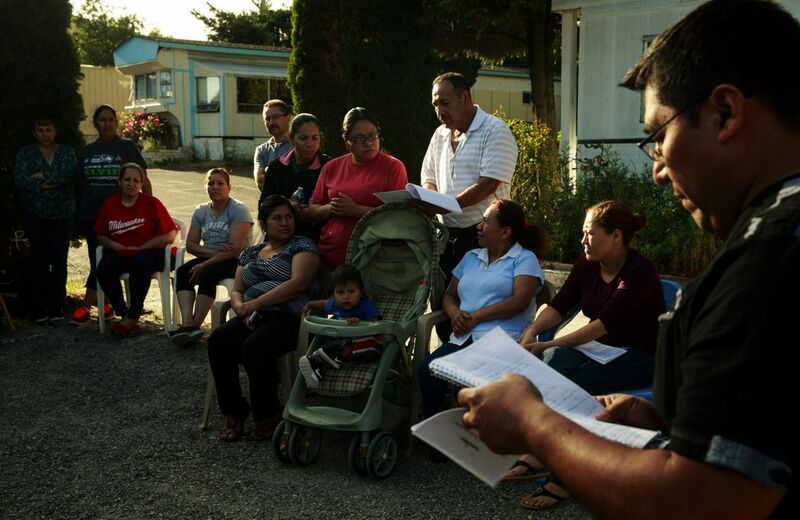 Residents of the Firs Mobile Home Park in SeaTac could soon lose their neighborhood as the owner plans to develop the land for another use. 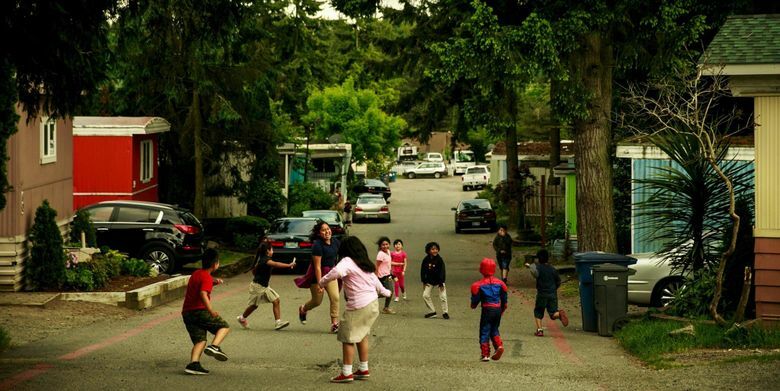 The children of the Firs Mobile Home Park chase each other down the neighborhood street after school and clap to centuries-old nursery rhymes like pat-a-cake. 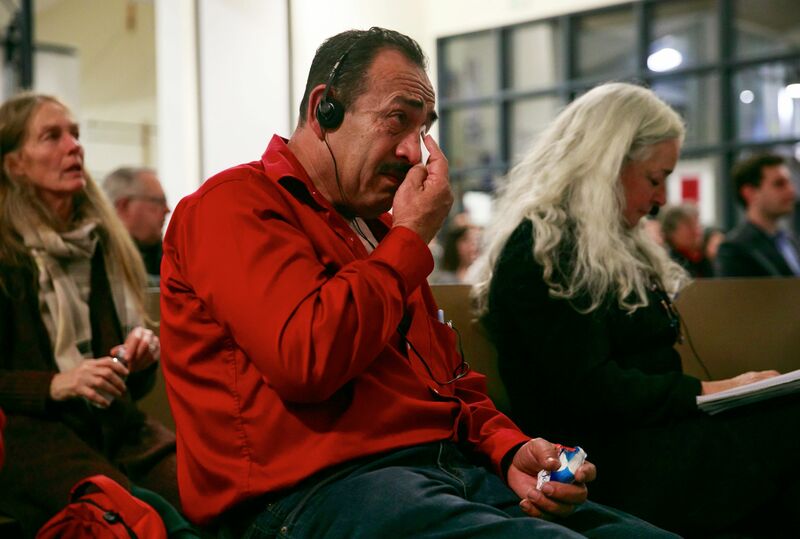 But some begin to cry when they talk about the looming eviction that will splinter their families and friendships. 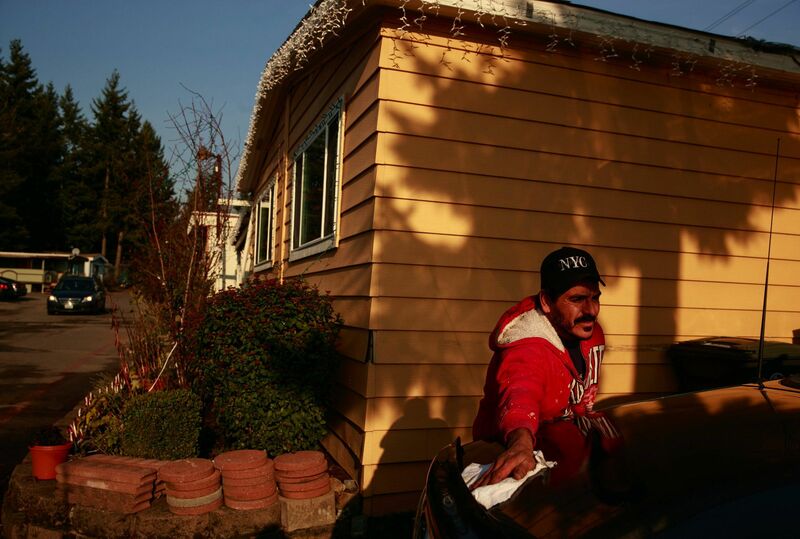 About 170 people, including 90 children, must leave this mobile-home park soon. The landowner plans to build a hotel and apartments, capitalizing on the economic boom. 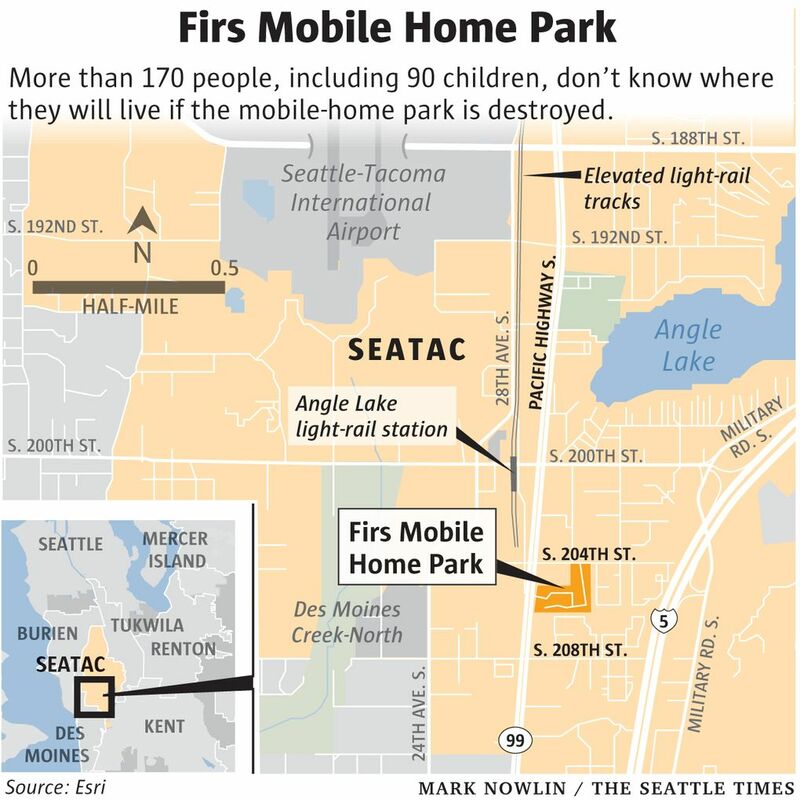 With so much at stake, many of the children and teens who live at the Firs have stepped up in unusual ways to try to save their community just south of the Sea-Tac airport. They held demonstration signs in a local park, wrote a petition asking SeaTac City Council members for help and created a documentary — all with the hope of stopping their eviction. 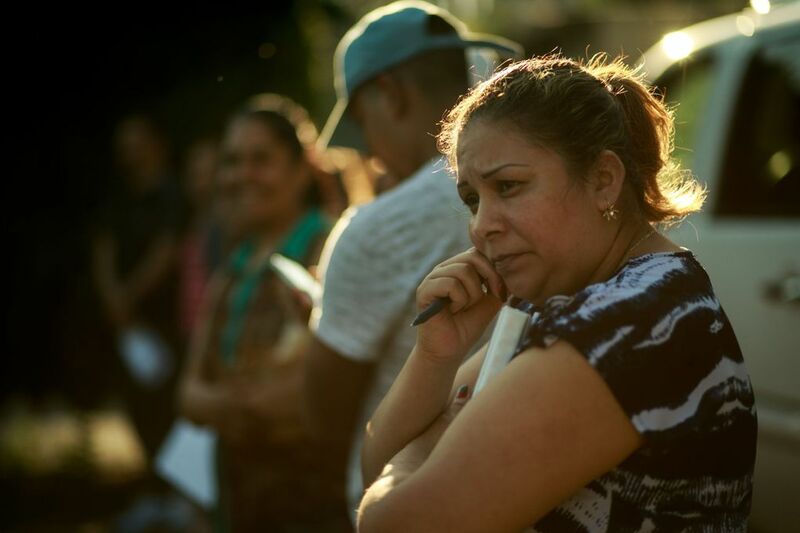 Residents of this mostly Hispanic community have become activists, saying they have nowhere to go in the King County area, where affordable housing and homelessness has reached crisis mode. Through the decades these families bought and renovated their mobile homes. They pay landowner Jong Soo Park $500 per month for their lots, about a third of what they would would pay for a two-bedroom apartment. Almost all the residents will lose the mobile homes that they have paid off and upgraded; many aren’t structurally safe to move, and space isn’t available in other parks. The effects of an eviction would ripple through their lives. Jobs could be lost to long commutes. Children, including those with special needs, must find new schools and doctors. Free child care from the older teenagers in the park will no longer be available. Unless they win a lawsuit, a government steps in or someone helps them purchase the property, the Firs residents must leave soon. The Firs is an ecosystem where residents’ reliance on each other has made it successful. Neighbors help one another fix cars or help baby-sit. 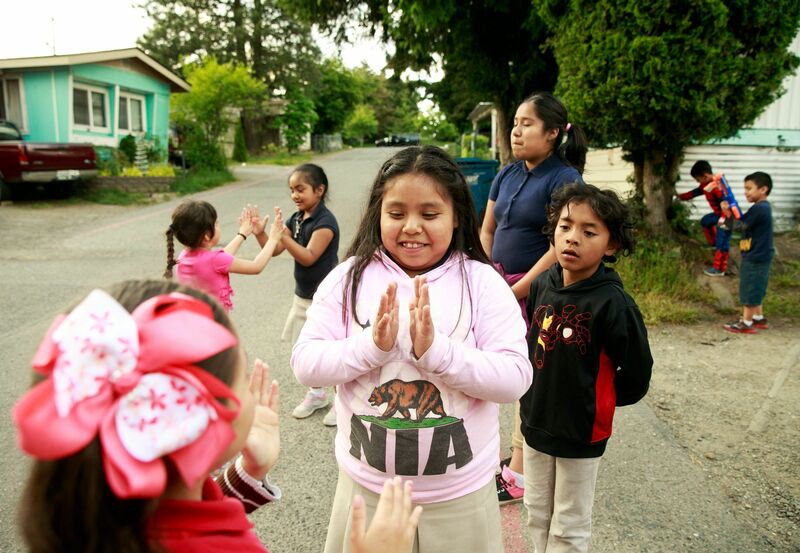 Kids walk together to the Madrona Elementary School one block away. The residents of the Firs cook at restaurants and clean bathrooms. They maintain city streets and tow broken-down cars. They trim bushes and mold machine parts. But many could lose their jobs once they move; long commutes for low-paying jobs often don’t pencil out. Wendy Salinas, 14, said her dad travels to Seattle to paint houses. “If we move he won’t be able to go over there or it will take a really long time to get there,” she said. 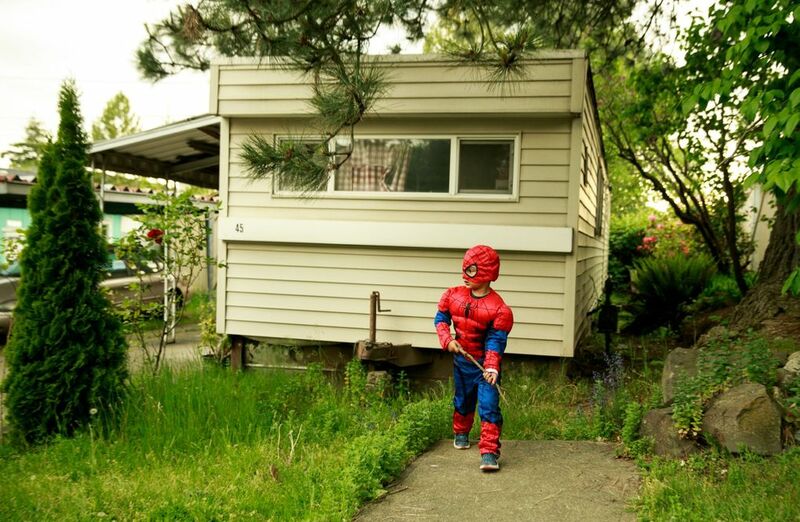 The relationship between Park and the mobile-home owners had been sedate for the decade that he owned the Firs. That changed in October 2016 when he gave notice the park would close a year later. The residents formed the Firs Homeowners Association and meet bimonthly to support each other and strategize. Educators in Highline Public Schools supported the association’s efforts, speaking to elected officials in Olympia, SeaTac City Council and school-board meetings. 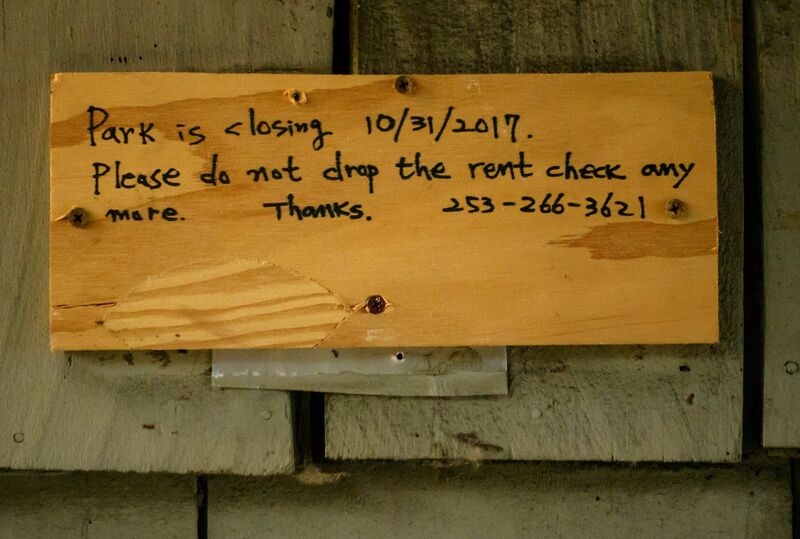 The owners filed suit in King County Superior Court claiming Park and the city of SeaTac violated the city’s mobile-home-park closure and relocation requirements. City Attorney Mary Mirante Bartolo disagreed with the allegations, saying a city administrator and then a hearing examiner approved of the park’s closure. A judge paused the eviction, urging Park and the owners to find a solution. A trial is set for March 5. But in the fall, Park said, he nailed the rent box shut and posted a note refusing to accept any money. “They want to stay there forever … why should I solve the problem? I already gave them a lot of notice,” and offered $2,000 to each owner after they leave, Park said. By December he had tried to evict seven owners, several of them leaders of the homeowners association, before the trial. “Arrangements have been made to the Sheriff’s office to follow through with evictions,” says a letter he sent to some of those residents. Hank Lippek, an attorney representing the owners, said Park is intimidating the families. Several children who found notices on the door of their homes were terrified after reading the letter and translating it to their parents, he said. “They were wondering if they will be homeless,” he said. 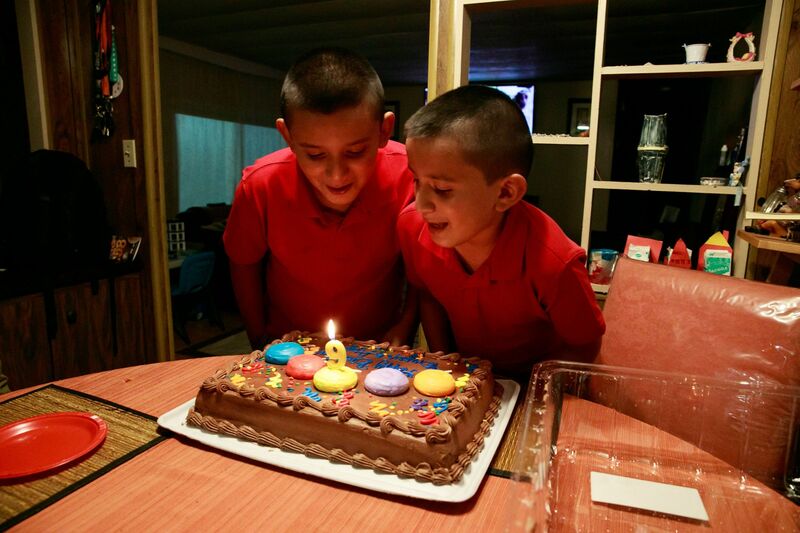 Angel and Bryan Silva Brito are 9-year-old twins living in a two-bedroom mobile home with their 19-year-old brother, Juan, and their parents. Despite their similar looks, the personalities and challenges of the 9-year-olds are different. Angel is quiet and timid. Bryan is more vocal and social. Both were diagnosed with autism, requiring regular doctor visits. 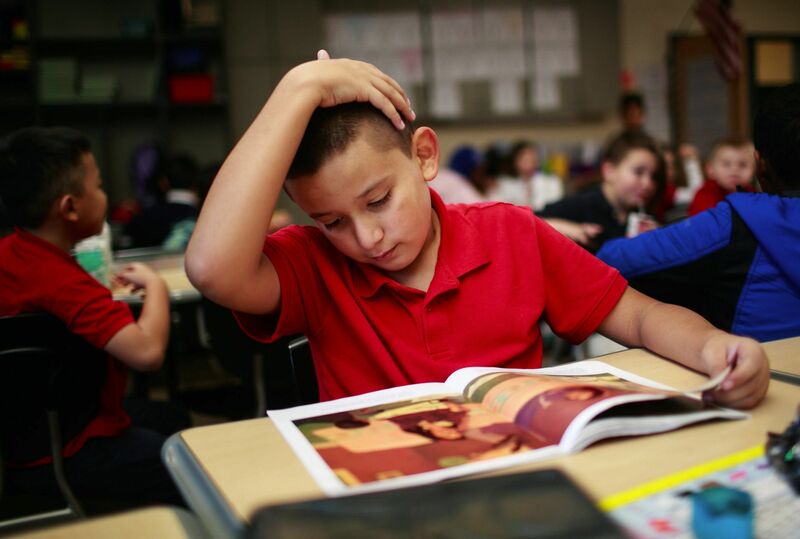 When their father, Juan Silva Cuevas, rises each weekday at 4:30 a.m. for his foundry job, his family is still dreaming. 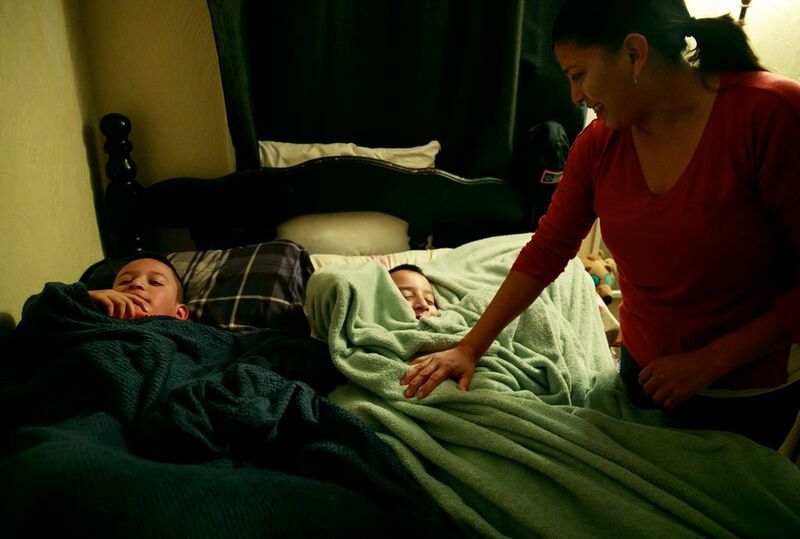 By 7:20 a.m., mother Ana Brito nudges the boys out of the bed they share. A cross and Woody from the movie “Toy Story” hang on the wall above. She whips pancakes in a blender and stuffs their lunch bags with fruit, cheese, yogurt and snacks. Their older brother wakes from sleeping on the couch and goes to work in construction. Ana drops off the twins at Madrona Elementary School, where they go to separate third-grade classrooms. By the time the students are saying the Pledge of Allegiance in English and Spanish, Ana is cleaning the first of three houses in Renton. The boys’ teachers have developed learning tools. At a prior school they both struggled to communicate. But at Madrona they socialize more and their mother has noticed their improved behavior. They aren’t the only Firs students with special needs. Ana said changing schools, restructuring schedules and losing friends will disrupt their sons’ support system and education. 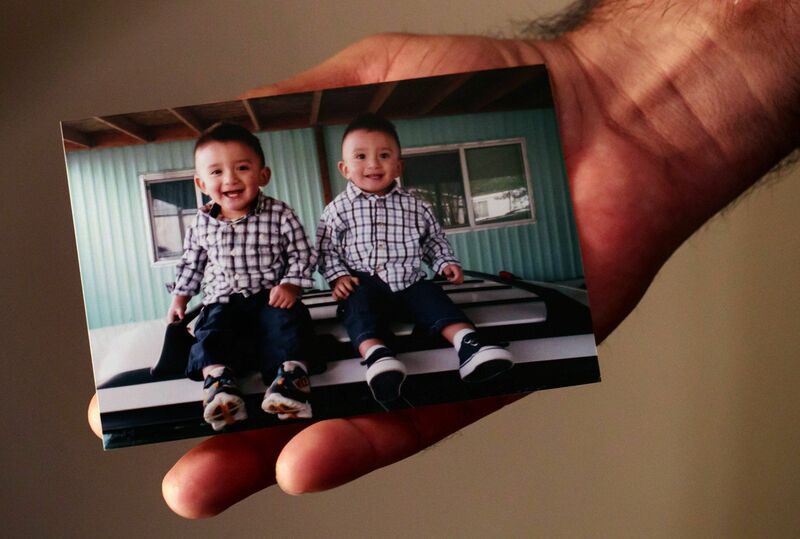 The couple bought the mobile home before the twins were born for $15,000. “They have a lot of fear and it will be hard to integrate them into new situations,” she added. Their father picks them up from school and cooks dinner. While Ana cleans the dishes, the boys play with their Lego police-station set. “We’ll never find the crooks,” Bryan tells his brother. Like most children, they don’t want to go to bed, but they brush their teeth and Ana leads them in a short prayer. 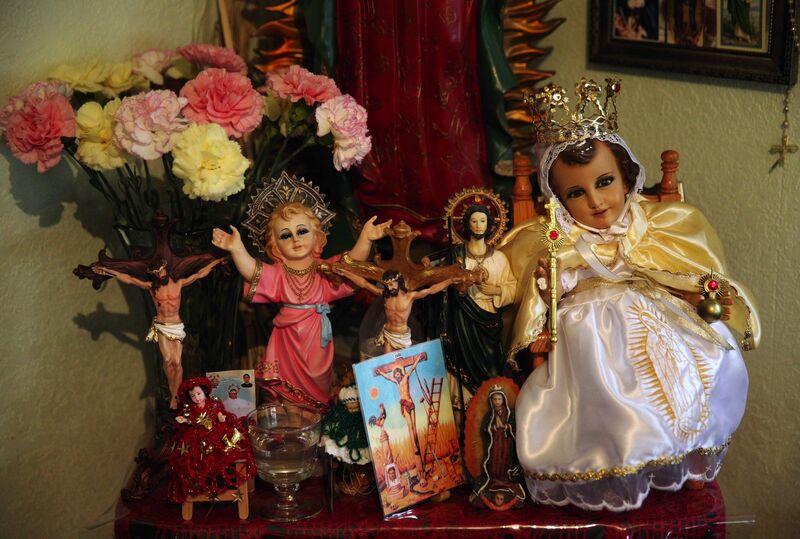 “Thank God for taking care of our family, for the food and for everything,” they say in Spanish. The house is quiet and the lights are out at 9:30 p.m.
Children don’t often go beyond the classroom to learn about free speech and local government. 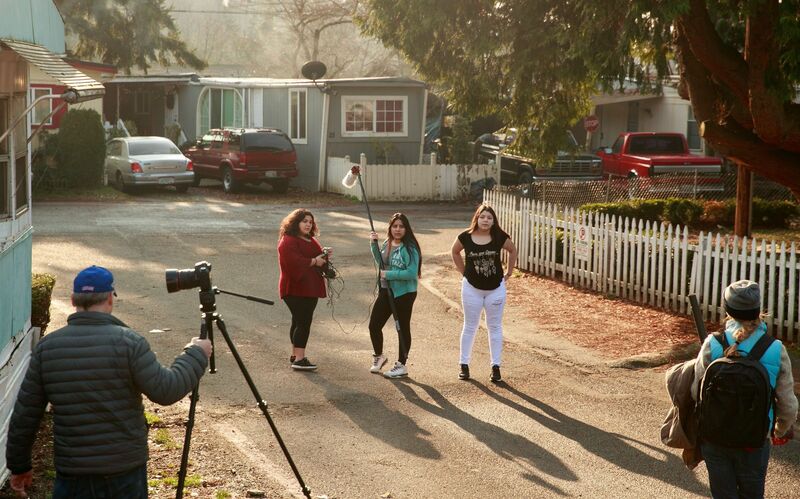 But two Tyee High School students and a Chinook Middle school student living at the Firs produced a 12-minute documentary about how closing the park would affect the 90 children’s friendships and academic futures. They saw the adults in the community working together and they wanted to help, too, said 14-year-old Wendy Salinas. “Before all of this I never thought I would have to speak for my rights and everyone else’s here,” Salinas said. Tyee English Language Learner teacher Andi Newman volunteered to help the girls on the video. 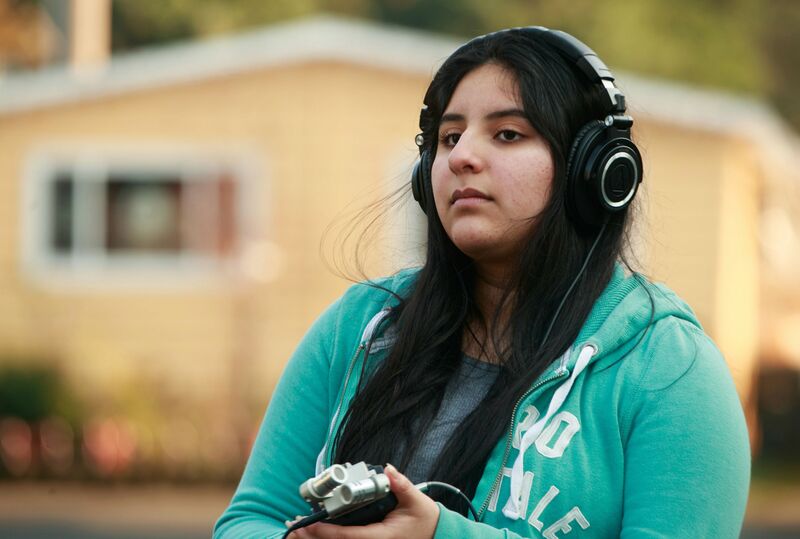 “They’ve spent many hours conducting interviews, learning how to edit film, writing subtitles, taking photos in an effort to convey the story of their community,” she said. The students planned to show the video Thursday during the Tyee High School assembly. 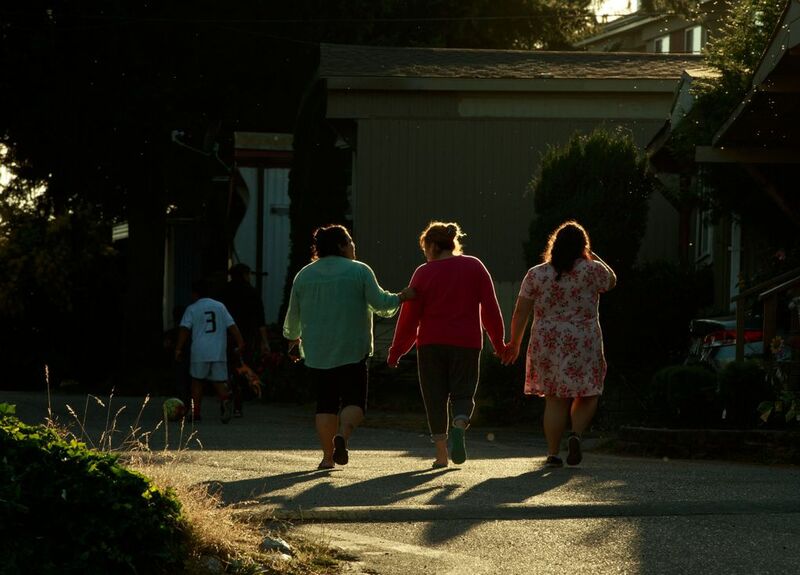 Tyee High School students Elisha Velazquez, 15, and Wendy Salinas, 14, and Chinook Middle School student Crystal Sanchez, 13, created this documentary about the youngsters in the neighborhood. The three girls became activists, going class to class and door to door gathering signatures for a petition to save their neighborhood. 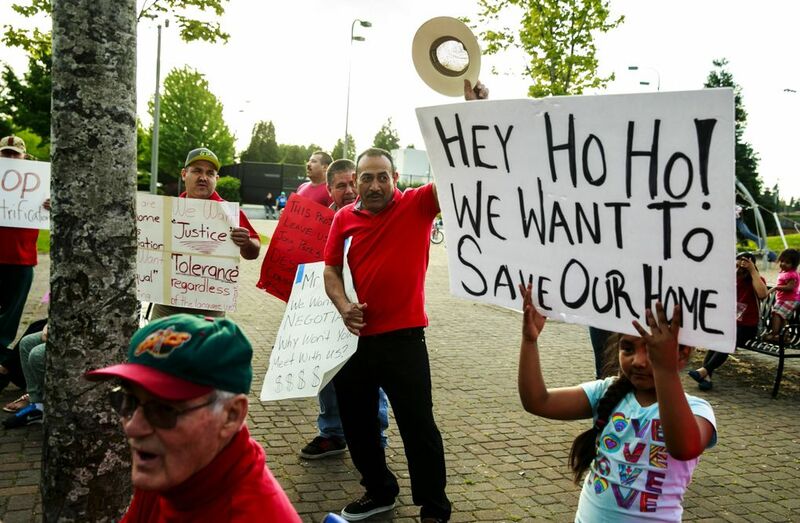 In late November, they presented the petition with more than 100 signatures to the SeaTac City Council. “I’ve always been a shy person, but I knew that I was doing this for my community and needed to support them in some way,” she said. Salinas recalled the council members having little response after she spoke. That didn’t deter her. She joined a youth activist club that teaches expression though several art forms. But educators also see the stress the eviction is having on Firs students. Newman recalls reaching out to the school counselor because one student became angry and depressed. Johana Sanchez graduated from Tyee High School last year and college wasn’t originally in her plans because of the potential park closure. Sanchez, who works part time at a trampoline park, has lived at Firs for 16 years. Her family spends every Sunday together. 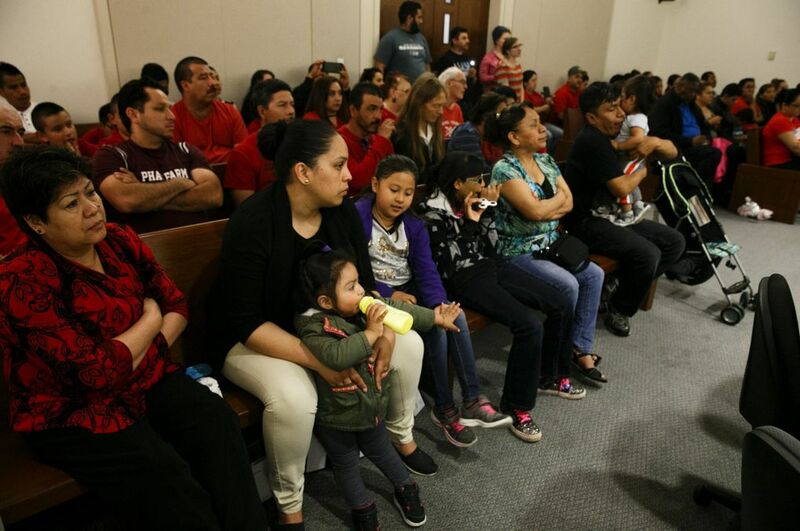 They attend St. Philomena Catholic Church in Des Moines, along with about three dozen other Firs families. Her faith has kept her strong. “If I have a rough day, a prayer would help me,” she said. Sanchez sometimes watches over the young children in the neighborhood while their parents work. During the summer, she baby-sat Angel and Bryan Silva Brito for seven hours every workday for free. “It’s a nice way of helping,” she added. Sanchez said the only way her father, landscaper Oscar Sanchez, could pay her older sister’s college tuition was because the housing at Firs is inexpensive. Ana Sanchez was the first in her family to attend college and now works as a medical interpreter. 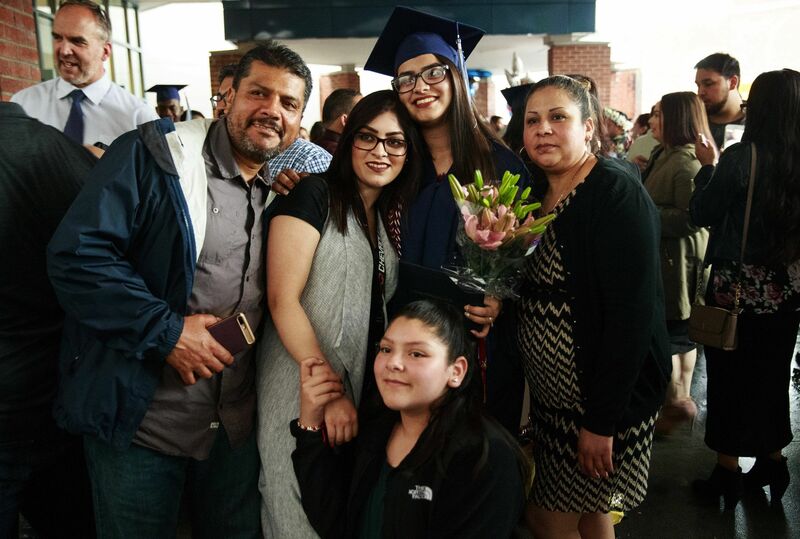 Following her footsteps, Johana Sanchez is attending a nine-month program at Altierus Career College in Tacoma to become a massage therapist. Her father also pays for her classes. 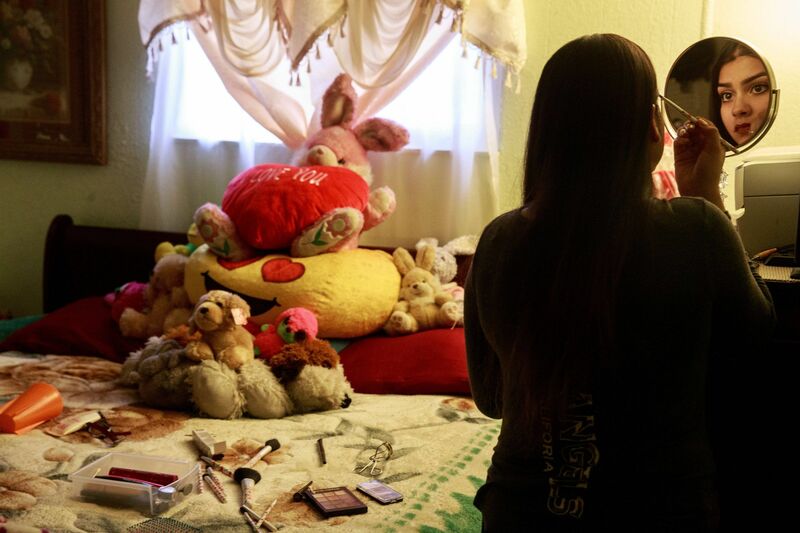 If the family is evicted, Sanchez said, she would need to leave college and work full time to afford a new place to live. She also fears that would mean her younger sister couldn’t attend college. She and other college students at the Firs are role models for the children. “They constantly ask ‘what are you doing?’ and have questions about what it’s like being older,” she said.